Have you bought Christmas presents? 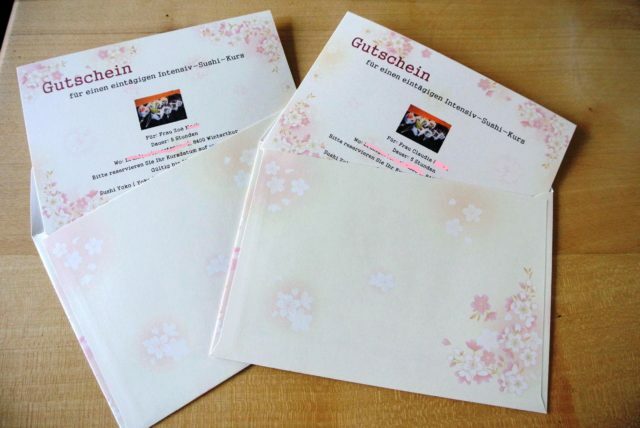 How about a voucher of a sushi course? All coupons contain the receiver’s name and are thus an individualized present! If you are in a hurry, I can email you the voucher as a PDF file.